From director Gaspar Noé (Irreversible; Enter the Void; Love) comes a hypnotic, hallucinatory, and ultimately hair-raising depiction of a party that descends into delirium over the course of one wintry night. In Climax, a troupe of young dancers gathers in a remote and empty school building to rehearse. Following an unforgettable opening performance lit by virtuoso cinematographer Benoît Debie (Spring Breakers; Enter the Void) and shot by Noé himself, the troupe begins an all-night celebration that turns nightmarish as the dancers discover they've been pounding cups of sangria laced with potent LSD. Tracking their journey from jubilation to chaos and full-fledged anarchy, Noé observes crushes, rivalries, and violence amid a collective psychedelic meltdown. 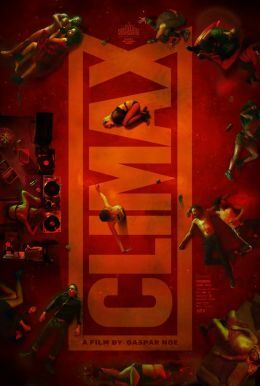 Starring Sofia Boutella (Atomic Blonde) and a cast of professional dancers, Climax is Noé’s most brazen and visionary statement yet.